PSUV vice-president and National Assembly deputy Diosdado Cabello spoke on a television interview today on the ongoing dialogue between the opposition and the PSUV. As is his style, Cabello offered seemingly contradictory assessments of the process, calling it both necessary and “a waste of time”. We’re not opposed to the dialogue. I’ve said this in public: talking to the opposition – I want to stress this – is a waste of time because they have nothing to say. But if we have to sit down [and talk], we will sit down and talk (…) We have to make the effort for the country. I don’t know how they came up with this thing about the general elections. It’s a tropical fantasy that they have about holding general elections in the first three months of 2017. That’s not true. We haven’t proposed that and we have absolutely no intention of violation the constitution in that way. Cabello also said that the Mesa de la Unidad Democratica (MUD), the country’s official opposition bloc, “no longer exists” due to the apparent disagreement the MUD’s individual parties have over whether or not the bloc should dialogue with the PSUV. Cabello was at one time Chavez’s right-hand man and widely believed to be in line to become President of Venezuela. However, his hard-line style appears to have alienated even Chavez himself in his later years, resulting in his falling out of favour with the late leader. Reuters reports that Venezuela sold an average of 601,605 barrels of crude oil per day to the United States in October, representing a 23% drop from September and continuing a troubling trend of declining production at PDVSA, the state-owned oil company. PDVSA is simultaneously Venezuela’s lifeline and its greatest liability. Since 95% of the money entering Venezuela comes through PDVSA, it is impossible to think about a Venezuelan state without thinking about PDVSA. However, widespread allegations of massive corruption, dwindling cash reserves and dire work conditions for employees have cast serious doubt over the future of the company. Reuters reports that while Venezuela sent 37 cargo ships full of oil to the United States in October, it sent 46 in September and 50 in October 2015. The Economist published an article on Venezuela yesterday titled “What is to be done in Venezuela?”. The author of the article argues that the ongoing Vatican-sponsored talks are “the only chance” for a peaceful resolution to the country’s political crisis, and that the opposition is right to suspect that Maduro is simply using the dialogue process as a way to buy himself more time. At the same time, the author argues that the fact that the Vatican is now officially involved in the talks “changes the nature of the negotiations”. With the jury selection process now complete, the trial of Efrain and Francisco Flores – dubbed the “narco-nephews” by the Venezuelan media – is set to begin tomorrow in a New York City courtroom. 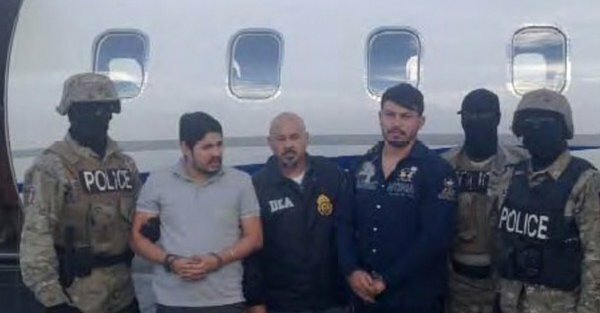 The two men are the nephews of Cilia Flores, Maduro’s wife, and are accused of conspiring to smuggle 800 kilograms of cocaine into the United States. The first day of the trial is scheduled to run from 9:30 to 4:30 PM in courtroom 14C at the South District Courtroom, located at 500 Pearl Street in Manhattan. The trial judge, Paul Crotty, estimates that the trial will last 10 working days, meaning that it may conclude around November 18. The two are charged with conspiring to import cocaine into the United States, and manufacturing or distributing cocaine with the knowledge that it would be imported into the United States.